I love taking sunrise and sunset photos. 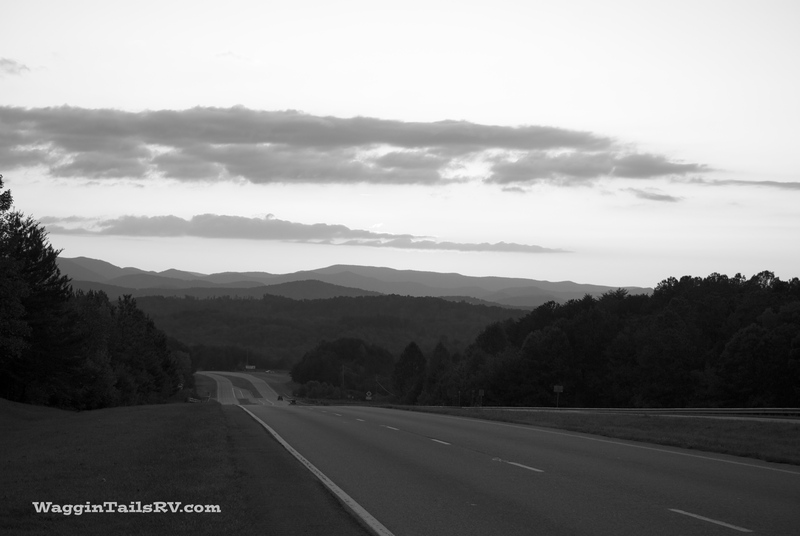 Enjoy this Black&White photo from Blue Ridge, Georgia. Shot with Nikon D2000, using 55-300mm Zoom set at 55mm, ISO 200, f/5, 1/100 sec. Today’s sunset photo was taken in at the end of our stay in Blue Ridge, Georgia. I was standing on the southern side of US 76, GA 515. We were there for 6 months while working at Windy Valley Llamas. Blue Ridge is about 10 miles south of the Tennessee state line and is nestled in very southern part of the Blue Ridge Mountain Range. Today I ask my blogger friend Maria at Another Cup Of Coffee to join me in the challenge. She has some amazing photos on her blog. I hope she joins in. This entry was posted in Photography and tagged 5-day B&W Photo Challenge. Bookmark the permalink. Another beauty! It is truly interesting how a photo can change when edited in Black and White. I need to try and do more.